Keyword Research is the starting point of online marketing. If you don’t place those words/keywords on your website which are being searched by people then how can you get organic traffic? The very first step for keyword research is to think as a normal user not as SEO/Marketer. Ok now you are a normal user and you need to buy second hand Nokia Lumia 710 then what you will type in search engines? Probably you will search “Buy Nokia lumia 710” or “Nokia lumia 710 best price” or “used Nokia lumia 710” or even you may write “I want to buy used Nokia lumia 710 at cheaper price”. I guess even you will try many more weird long tail phrases to search the best offer for the same to get the best results in Search results pages. So its better for you if your site comes first in for these queries and it can be done if you make use of proper keyword research and their better placement on your website. Okay now you have an idea that before keyword research you need to understand your business and it’s goals first then need to understand the searcher’s mind. You must understand what people can search to buy those products which you are selling. Now start thinking like an SEO and start the keyword research process. You may use Google adword keyword tool to research keywords. As I mentioned above that you should know what people may search to buy a particular product. So make a list of random words/phrases and put them in keyword tool. That will give you hell lot of more keyword ideas along with their monthly search volume. Once you get so many ideas then select the relevant ones according to your need and search volume. After it again put all of those selected keyword ideas in keyword tool and click on search. You can see more relevant ideas. repeat this process 2-3 times to get the best keywords for your product. 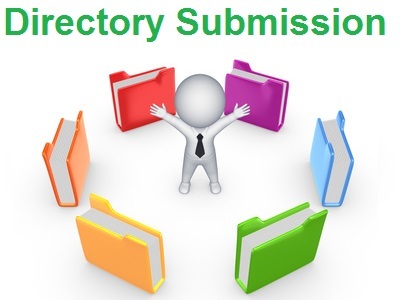 Now your work is to distribute your researched keyword on your webpage evenly. You should put the most important keywords in Title tag and then in Meta description then in the content. Whenever you do keyword research for your website you should do a competitor analysis first to know the keywords they are promoting which will help you to research better keywords for your site. 3. Write down few random words which are related to your products/business and your competitor’s keywords. 4. Now put all those keywords in the Google Adword Keyword tool and filter your ideas as I mentioned above to get the best keywords. I am not going to mention keyword Distribution on your website here as this post is only focused on researching the keywords. I will be writing another post about distributing your keywords on your website effectively. One more thing I would like to mention here which is about short tail and long tail keywords. As the name suggests short tail keywords are those which are very short or one word and long tails are comparatively longer. Such as, “Shoes” is a short tail keyword but “shoes under Rs.500” is a long tail keyword. Don’t be fooled by only using the short tail keywords. No doubt short tail keywords are good but never ignore long tail keywords too as they can give better conversions. Suppose If user searches “shoes” then he might be just checking out the shoes websites or want to get info about online shoes shopping etc but if he is searching “shoes under Rs. 500” then he might want to buy and If he gets better shoe quality according to his budget then he might buy. This clearly proves that long tail keywords are better from conversion point of view and If you are running an ecommerce site, your ultimate goal is to make sale not just traffic. You would want the traffic which converts. Hence Long tail keyword should not be ignored. Over to you. Share your views on keyword research. I am open for discussion here. Would love to get your views here.